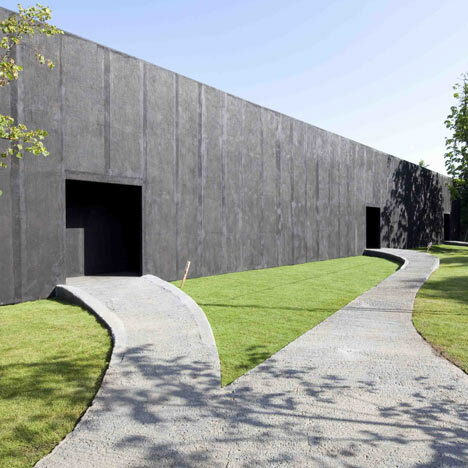 Making the news this week is the opening of Peter Zumthors Serpentine gallery – isn’t it just too boring for words – all this Swiss minimalism – it has some sensual appeal but don’t you think these statements are now passed their sell by date? 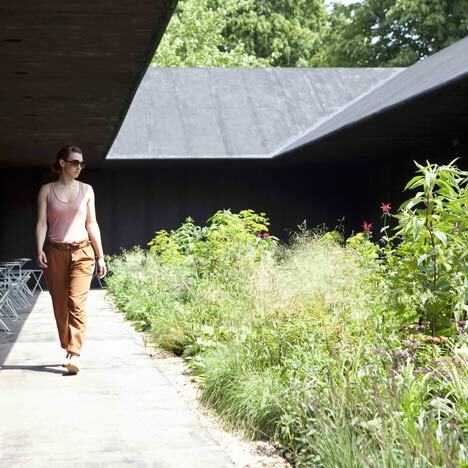 the heart of Peter Zumthor’s Pavilion is a garden that the architect hopes will inspire visitors to become observers. Zumthor’s says his design ‘aims to help its audience take the time to relax, to observe and then, perhaps, start to talk again – maybe not.’ The design emphasises the role the senses and emotions play in our experience of architecture. With a refined selection of materials Zumthor creates contemplative spaces that evoke the spiritual dimension of our physical environment. As always, Zumthor’s aesthetic goal is to customise the building precisely to its purpose as a physical body and an object of emotional experience. Materials have always played an evocative as well as an essential role in the buildings designed by Zumthor. The 2011 Pavilion will be constructed of a lightweight timber frame wrapped with scrim and coated with a black paste mixed with sand. Exterior and interior walls with staggered doorways will offer multiple paths for visitors to follow, gently guiding them to a central, hidden inner garden. The covered walkways and seating surrounding this central space will create a serene, contemplative environment from which visitors may look onto the richly planted sunlit garden, the heart and focus of the building. 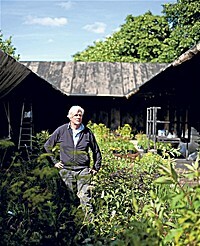 Piet Oudolf is a prominent garden designer and a leading figure of the New Perennial planting movement. His award-winning designs emphasise the natural architecture of plants, using expressive drifts of grasses and herbaceous perennials to create gardens that evolve in form throughout the lives of the plants. These are chosen for their structure, form, texture and colour, showcasing many different varieties in his compositions. Oudolf has pioneered an approach to gardening that embraces the full life-cycle of plants, delighting in their beauty throughout the seasons. The Serpentine’s Pavilion commission, conceived in 2000 by Gallery Director Julia Peyton-Jones, has become an international site for architectural experimentation and follows a decade of Pavilions by some of the world’s greatest architects. Each pavilion is sited on the Gallery’s lawn for three months and the immediacy of the commission – a maximum of six months from invitation to completion – provides a unique model worldwide. Zumthor’s Serpentine Gallery Pavilion will operate as a public space and as a venue for Park Nights, the Gallery’s high-profile programme of public talks and events. Park Nights will culminate in the annual Serpentine Gallery Marathon in October, now in its sixth year. In 2006 the Park Nights programme included the renowned 24-hour Serpentine Gallery Interview Marathon, convened by Hans Ulrich Obrist and architect Rem Koolhaas; in 2007, by the Serpentine Gallery Experiment Marathon presented by artist Olafur Eliasson and Hans Ulrich Obrist; in 2008, Obrist led over 60 participants in the Serpentine Gallery Manifesto Marathon. This was followed in 2009 by the Serpentine Gallery Poetry Marathon and in 2010 by the Serpentine Gallery Map Marathon. Born in Basel in 1943, Zumthor trained as a cabinetmaker at the shop of his father, as a designer and architect at the Kunstgewerbeschule Basel and at Pratt Institute, New York. In 1979 he established his own practice in Haldenstein, Switzerland. Major Buildings: Protective Housing for Roman Archaeological Excavations, Chur, Switzerland, 1986; Sogn Benedetg Chapel, Sumvitg, Switzerland, 1988; Therme Vals, Switzerland, 1996; Kunsthaus Bregenz, Austria, 1997; Swiss Sound Box, Swiss Pavilion, Expo 2000, Hanover, Germany, 2000; Kolumba Art Museum, Cologne, Germany, 2007; Bruder Klaus Field Chapel, Wachendorf, Germany, 2007. Major Awards: Carlsberg Architectural Prize, Copenhagen, 1998; Mies van der Rohe Award for European Architecture, Barcelona, 1998; Spirit of Nature Wood Architecture Award, Wood in Culture Association, Finland, 2006; Praemium Imperiale, Japan Art Association, 2008; The Pritzker Architecture Prize, The Hyatt Foundation, 2009. Oudolf’s projects include the internationally renowned High Line in New York, which involved planting along a railway line that winds through the city. Combining minimalism with ecology, this garden was conceived of as a series of interwoven elements that lead visitors along a richly planted path. Other notable designs include the Lurie Garden in Millennium Park, Chicago; Wisley, the Royal Horticultural Society Garden in Surrey; Il Giardino delle Vergini at the 2010 Venice Biennale; and his own innovative garden in Hummelo, The Netherlands. He is the recipient of numerous awards including the 2010 Award of Distinction by the Association of Professional Landscape Designers and the 2009 Dalecarlica Award, Sweden. Oudolf’s garden was also awarded ‘Best in Show’ at the 2000 Chelsea Flower Show, London. In 2010 he was named as one of the 100 Most Creative People in Business by Fast Company Magazine.